The 2014 SEMA Show is on the horizon, and one of the brands most consistently well-represented at the show in the desert is Scion. 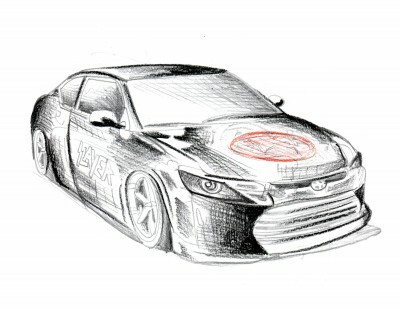 From early indications, this year’s SEMA Show will be no different, based on a couple of early sketches for theme-tuned vehicles. 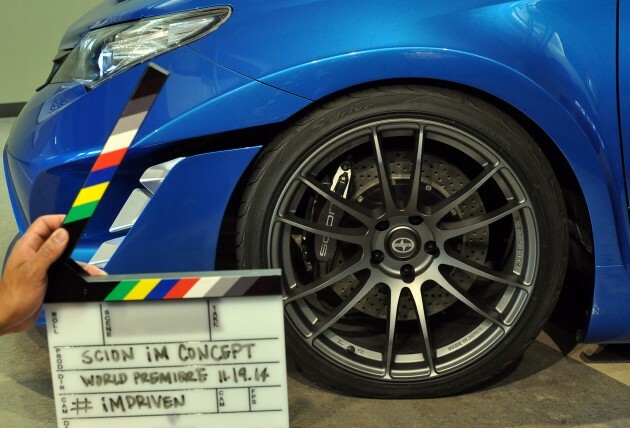 Scion is also looking for a solid showing at the LA Auto Show, and today it released a teaser for the Scion iM Concept that it will display there on November 19. First and foremost, Scion will be rolling out two modified vehicles conspired in-part with two prominent pop culture entities. For headbangers, we have the “Scion x Slayer Mobile Amp tC,” which was created alongside legendary heavy metal band Slayer. For those who love skateboarding, there’s the “Scion x Riley Hawk Skate Tour xB,” created with pro skateboarder Riley Hawk. The former aims to emulate the aggressive style of one of the world’s most influential metal bands and incorporate it into the sporty tC. The Mobile Amp lives up to its name by turning the vehicle into a high-speed, high-volume machine complete with amps, speakers, custom mixer, and 32” monitor for media playback. The process of building the Scion x Slayer Mobile Amp tC is being led by Mike Vu of MV DESIGNZ. On the other end of the spectrum, the Scion x Riley Hawk Skate Tour xB looks to capture the essence of the 1970s with features such as bubble windows, interior wood grain paneling, shag carpeting, and an 8-track player. No, really. Combined with a retro-looking orange/yellow striped style, storage for plenty of boards, and a high-end sound system (for, uh, playing 8-tracks), Riley says every aspect of the Skate Tour xB represents some part of his life. 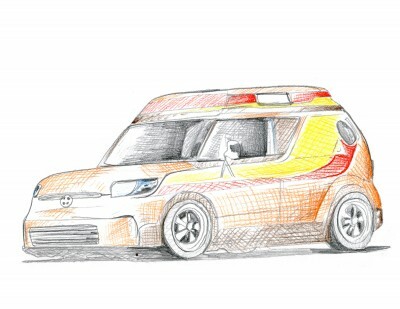 The Scion x Riley Hawk Skate Tour xB is being overseen by Scott Kanemura of KMA Productions. Both vehicles will be on display—alongside three customized FR-S coupes—for the 10th annual Scion Tuner Challenge. 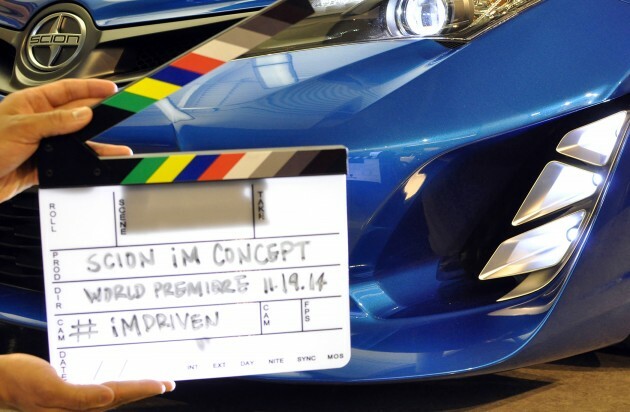 The Scion iM Concept will make its world debut on November 19 at 3:40pm in the South Hall of the LA Auto Show. We got our first glimpse at it today, and here’s what we know: it’s got a sporty front end, some fancy black six-double-spoke wheels, and it is blue. Past that, we’ll be waiting until LA for more info, though we hope that what we’re seeing here ultimately serves as the inspiration for the next-gen FR-S.